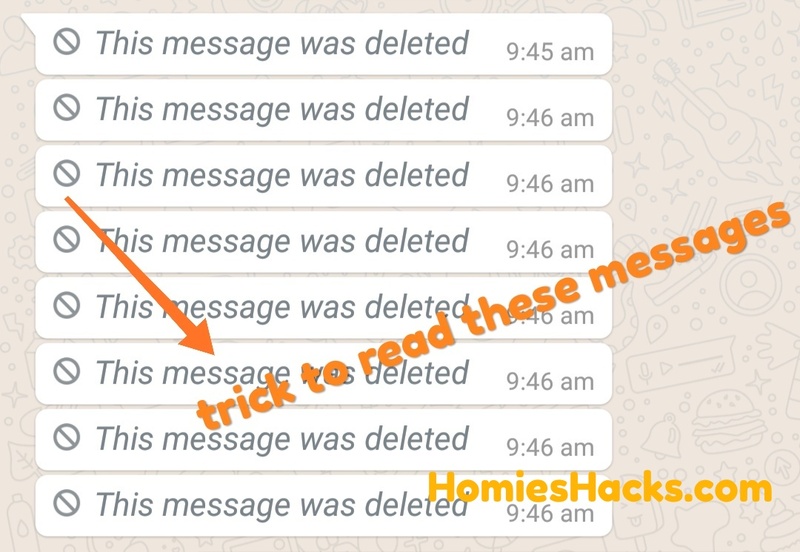 Some time ago WhatsApp incorporated a function that millions of users demanded: the possibility of deleting messages so that nobody sees them within few minutes after sending. 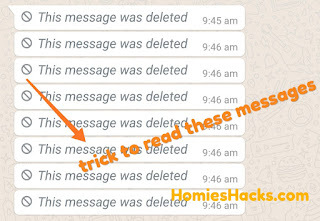 However, if you are too like every other human who becomes to curious to know what the deleted message actually contained, there is an option that will allow you to read the messages that you have wanted. 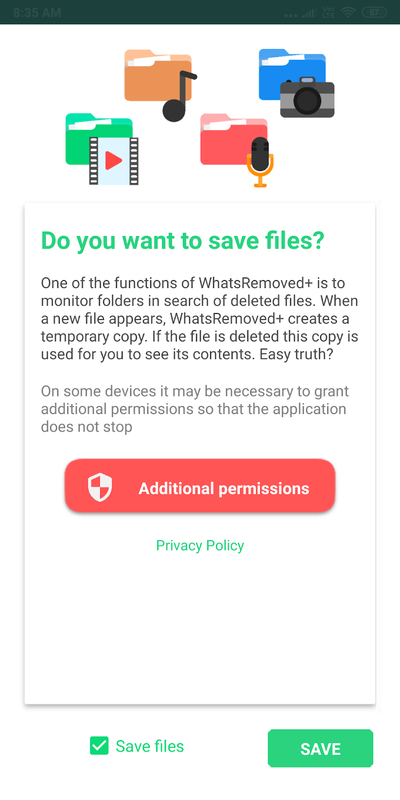 An app called WhatsRemoved+ allows us to read the deleted WhatsApp messages. The procedure behind this application is very simple. 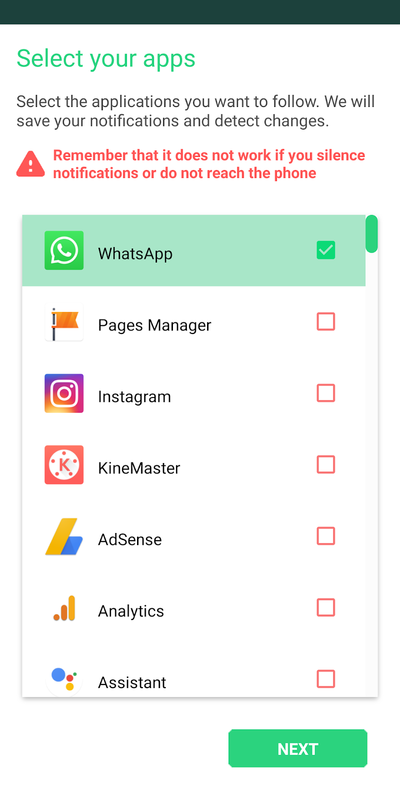 As you know, there are apps on Android that ask for access to our notifications. This function is usually used to show us ads but WhatsRemoved+ uses it to passively read what comes to WhatsApp and as soon as we receive a notice that the message has been deleted, warn us and show us the original content. 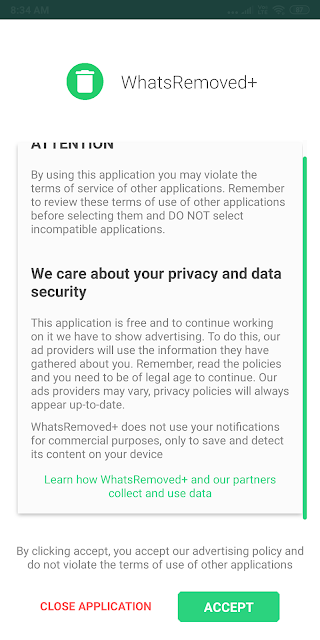 Yes, WhatsRemoved+ reads the notifications but as specified in the terms of service of this application, no data is collected to market them or use them for profit. 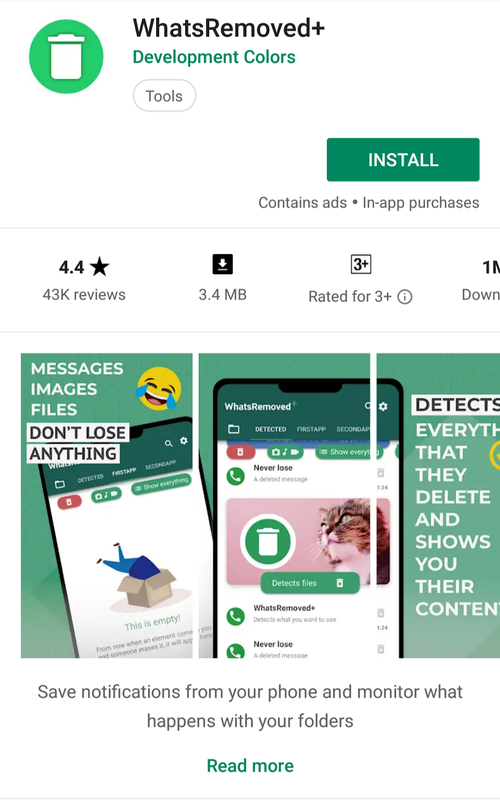 Its use is limited to detecting when the message is deleted and the only information that is sent is when there is an error or an unexpected error, the typical usage statistics to help developers polish faults. Configuring this application is very simple. 2. Once downloaded press the "Open" button to access the application. 3. For the application to work you will have to give access to notifications and files. Tap on "Accept" to accept these terms. 4. 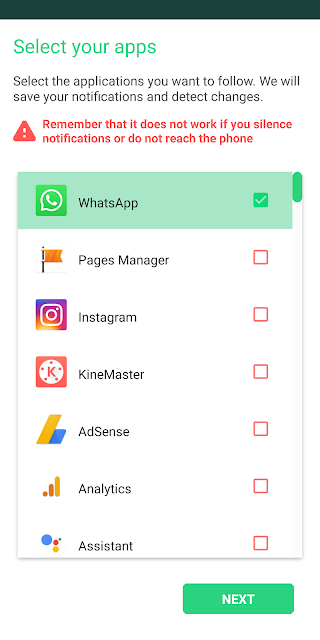 Now you must select the App or Apps from which you want the application to save the content (yes it gives you an option to save messages from variety of applications for example Instagram, FB Pages Manager, etc. ), in this case, select the WhatsApp and tap on "Next" in the lower right corner of the screen. 5. 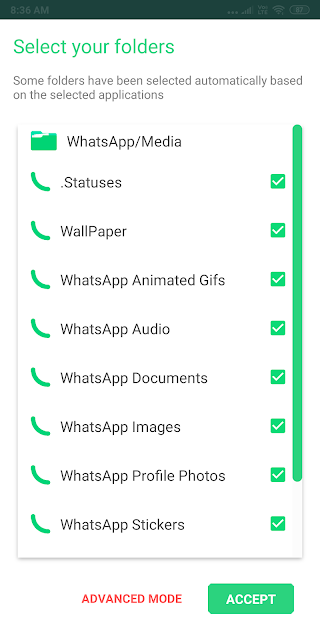 Tap on "SAVE" to have the application save your WhatsApp files and continue. 6. 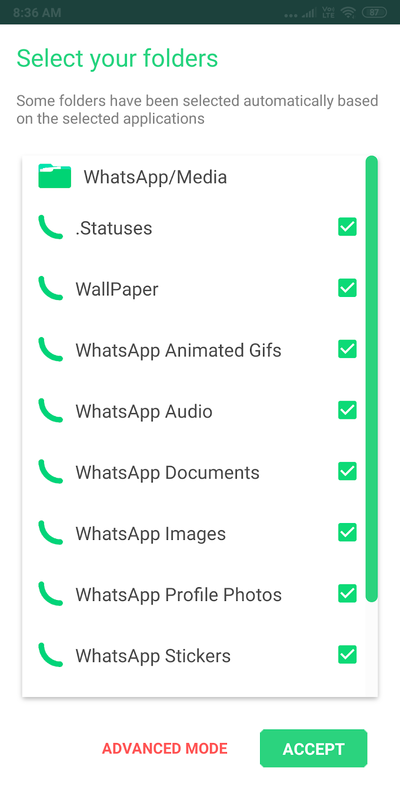 Now on the next screen, you must select what you want to save from WhatsApp. Tap on "ACCEPT". So, now if someone sends you a message what WhatsRemoved+ will do is read it and store it and, if the person who sent it decides to delete it, the app in question will have it available for you to view. So did you likes this tutorial, let me know in the comments below.